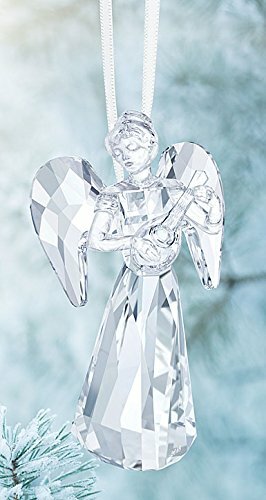 The angel ornament is an annual edition 2018 collectors piece. Adorned with a white satin ribbon, the angel is playing a Mandolin and bears a metal tag Engraved with the year of issue – 2018. This beautiful addition to the festivity of the holidays is exclusively available this year. Decoration object. Not a toy. Not suitable for children under 15.